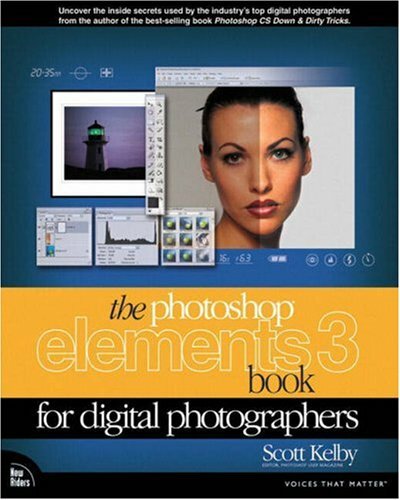 If you're ready for an Elements 3 book that breaks all the rules, this is it, because it does something for digital photographers that's never been done before--it cuts through the bull and shows you exactly "how to do it." It tells you, flat-out, which settings to use, when to use them, and why. This book is not a bunch of theory; it doesn't challenge you to come up with your own settings or figure things out on your own. It gives you the same settings used by some of the top digital pros, settings you can use today to get professional results you've always dreamed of. Plus, since this book is designed for photographers, it doesn't waste your time talking about how to frame a shot, setting your exposure, etc. and there's no talk which camera or printer to buy. It's all Elements, step-by-step, cover-to-cover in the only book of its kind, and you're gonna love it! Besides learning the inside tips and the tricks of the trade for correcting, editing, sharpening, retouching, and presenting your photos like a pro. You'll learn how to unlock the power of all the new Elements 3 features, including how to manage your photos using the new Organizer, how to use the new "pro tools" like the Healing Brush and the Shadow/Highlight controls, and how to master the new "Creation" section to take your photos to an entirely new level. Plus, you'll see it all step-by-step, in plain English, and you'll be absolutely amazed at how easy and effective these techniques are, once you know the secrets. How to incorporate the amazing new features of Elements 3 into your work today! When to use Quick Fix, and when to do to it yourself (using our step-by-step methods). But besides all that, this book has a "secret weapon" that makes it the most important, most useful Elements book yet. The reason is this--although Elements 3 offers some digital photography features Photoshop CS doesn't offer, there are plenty of features that Photoshop CS has, that Elements 3 still doesn't have (things like Layer Masking, Channel Mixer, etc.). But in this book, you'll learn some slick workarounds, cheats, and some fairly ingenious ways to replicate many of those Photoshop features from right within Elements. There's never been a book like it, and if you're a digital photographer using Photoshop Elements 3, this is the book you've been waiting for. 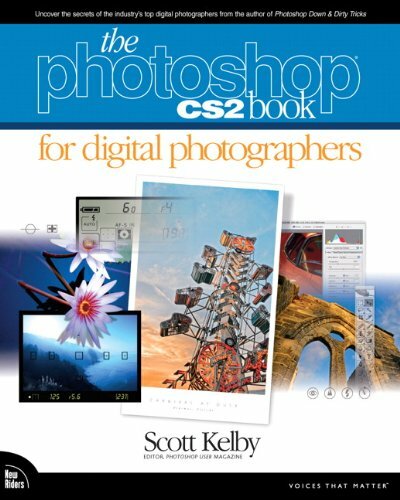 Scott Kelby, the best-selling Photoshop author in the world today, once again takes this book to a whole new level as he uncovers the latest, most important and most exciting new Adobe Photoshop CS2 techniques for digital photographers. version of this book took the digital photography world by storm. &bull; The pros tricks for fixing the most common digital photo problems&nbsp;fast! &bull; How to show your work like a pro! 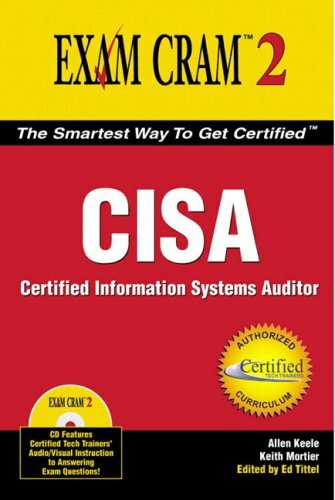 &bull; Plus a host of shortcuts, workarounds, and slick "insider" tricks to&nbsp;send your productivity through the roof! edit, sharpen, retouch, and present their wor; then this is the book&nbsp;for you. Not only Beyond Bullet Points...Beyond PowerPoint too! Caution!The information presented in this book has applications far beyond PowerPoint.If you read this book you may find yourself inspired to think outside of the "text" box.You may think of innovative ways to use this information to become a better salesperson, a better organizer or a better communicator in general. I recently used the principles in Cliff's book to organize the 3-year cirriculum for my company's new corporate university.Using the story template ensured that each course was tied to the strategic goals of the company.I just wish I had discovered his book at the beginning of the project!By the way, my "meta-story" template is posted on Cliff's blog at www.beyondbullets.com.Be sure to check it out! I've also used the story template as a guideline for writing a letter (to convince a client to see something my way) and to structure a talk I gave in church recently. I'm even convinced that the principles in this book can be used for non-persuasive presentations (i.e. technical training, informative presentations, etc.) and I plan to prove it.I'm working right now on re-vamping several of my technical training classes using this approach.I've written several of the story templates, and I can already see the improvement! Order the book!Visit the blog!Get ready to change the way you communicate! For those wanting the add FX to their PP presentations - this isn't the book.The PP stuff is 101 level.For those looking for a format for their presentations - this offers one.Will it fit all, or even most, circumstances?Not in my experience of coaching business presentations for 20 + years. Stop putting your audience to sleep! I can't count the number of boring bullet point presentations I've sat through in my life. Unfortunately, my audiences probably say the same thing! 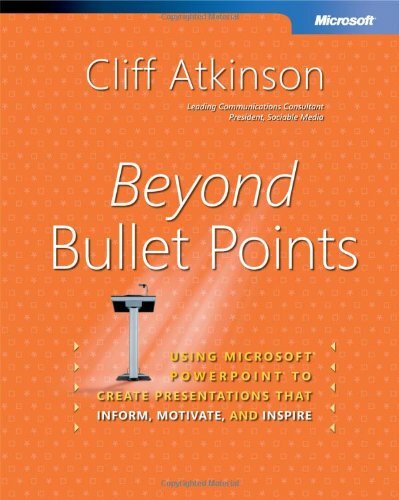 With the help of Cliff Atkinson's Beyond Bullet Points, hopefully my audiences won't have to endure yet another boring bullet point presentation. 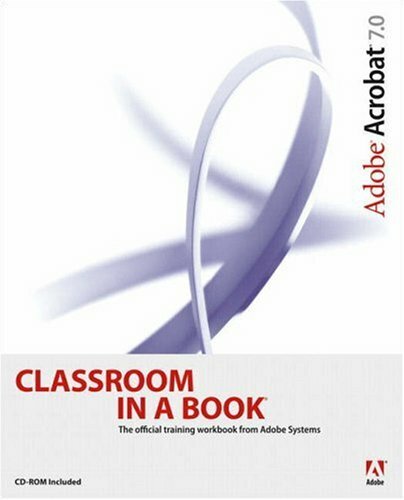 If you are looking for a book to teach you PowerPoint or looking to transform yourself into a PowerPoint "power user" look elsewhere. If you want to learn to develop effective presentations that engage your audience and not put them to sleep, Beyond Bullet Points is a great book. The book presents Cliff Atkinson's three step approach to presentations: Focus, Clarify and Engage. The method is based on story telling with a few twists to compensate for the complex nature of presentations. Chapter 1 starts with a fictional presentation which the book will transform from a boring bullet pointed presentation to one that engages the audience. Chapter 2-3 (focus) guides the reader as Cliff describes the process of writing the script for the new presentation. Chapter 4-6 (clarify) builds upon the previous chapters as the reader is guided through the process of clarifying the presentation's ideas. Chapter 7 lays out the groundwork to create an engaging script that will certainly bring life to your presentation. Appendix A summarizes Richard Mayer's excellent research on multimedia learning. Appendix B discusses Cliff's excellent tool, Beyond Bullet Points Storyboard Formatter. While PowerPoint is used as the tool in presenting Cliff's idea of storyboarded presentations, the concept is certainly beneficial to anyone that uses alternate tools. I am a professional speaker and workshop leader. People have always told me I am good. But now I look at my presentations and think, "I cannot believe I used to present this garbage and people responded." The ideas I got from this book have completely transformed my business. That may sound like a lofty claim but let me explain. I have never met Cliff Atkinson. Didn't know him from "Boo" before a month or two ago. 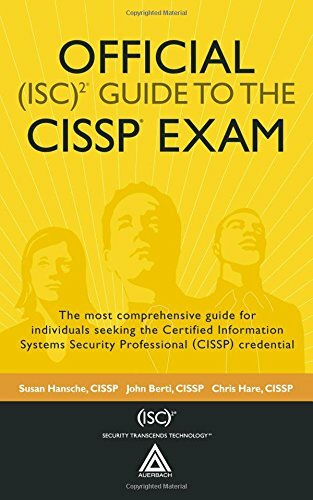 I saw Cliff's book mentioned on a blog I read and began reading some of his posts. They were very useful and had a lot of great ideas. When this book was released, Cliff made an offer to do a makeover on a few presentations so that he could publically show people the results on his blog and in the discussion forum on his book site. When I saw that, I jumped at the chance. My sales presentation drives the majority of my revenue. Why wouldn't I? If I could make it better, great. If I didn't like the result, I could always stick with what I had been doing. Like it? Wow! The transformation has been amazing! You can see for yourself. Go to his blog and you can see my entire makeover process or you can see just a few before and afters in some of Cliff's blog posts. Look for Kim's makeover. I think you will agree the difference is truly amazing. But it didn't stop there. What Cliff is really teaching is a structure for presenting information. Storytelling is one of the most powerful communication tools out there. I was a good story teller - but my stories weren't tight. They were not concise. The Beyond Bullet Point approach gives my audience exactly what they need to keep them interested and answer their questions - no more, no less. It puts you in their shoes. I took Cliff's story structure and began to apply it in other areas. I have not only put it to work in other presentations, I tried a little experiment. I wrote one of my sixty second radio spots using Act 1 of Cliff's story structure. It began airing this week and right out of the gate it looks like it may be one of the best pulling ads I have ever run. But it didn't stop there either. I have been working with an ad agency to develop a positioning statement (some would call it a tag line) and a jingle. We had been going back and forth on the positioning statement. Nothing popped. After I finished the story template I used for the sixty second spot, I sent it over to the creative guy at the ad agency and we instantly knew we had a positioning statement. It came naturally right out of Cliff's story structure. So that is my story. I have never posted a review on Amazon before. I am an avid reader but I have no time to post reviews. For this book, I made time. I give this book my highest recommendation, which I will also do to readers of my newsletters and blog. I hope it is as powerful for you as it was for me. This book teaches some essential writing skills! This book is the most pragmatic book on developing presentations, not just PowerPoint presos. It borrows from the craft of Hollywood that knows how to capture our attention, keep us entertained and influence us in more ways than we realize. The book is based on proven techniques used by the greatest storytellers for centuries and the author has boiled this down into a few principles that are easy to remember and use. The book is really a Bible... A lot of useful information for people that are beginning to use this spreadsheet. I also believe that this book could be a great asset for those who have a good understanding of the tool. It's easier to find a solution in the book's index than looking for it on the help feature of the software. I really have to recommend this book! I usually avoid books about Microsoft software because I can usually muddle through and figure out what I want to do. If in doubt, I seek out a twelve-year-old who knows the answers. But this week I had a desire to create a unique chart for a client, and decided to see if Excel would help me make the chart. I had the good fortune to run across Excel 2003 Bible at the library, and took it home to skim. Within 45 minutes I had all the answers to my questions, and found a way to create a better chart than I had originally planned to make. That was well worth my time. I'm sure that I would never have found the alternatives on my own that the book pointed me to. Intrigued by the help I got, I went back and read the simple sections as well. I was impressed by how thorough all of the material is. You are given many different ways to accomplish the same task, along with the pros and cons of why to go one way versus another. I also appreciated the many graphics in the book to show what the screens look like. The book is also backed up with a CD to run simulations and a web site where you can get more help. If you think you may ever want to do advanced applications of Excel, I strongly encourage you to read this book. I particularly liked the charting and analysis sections. As I finished this book, I realized that I usually employ Excel to get tasks done faster . . . and hadn't given much thought to how to complete them better. I suspect that much data could be made more usable and valuable for me and others if I think about how to employ all of Excel's tools in advance. Walkenbach show you how to make the most out of Excel! Walkenbach's Web site is awesome (http://j-walk.com/ss/)...you should check it out! But I still find just about every one of his Excel books too valuable to pass up. This one is perfect...but I also love Excel 2003 Formulas. 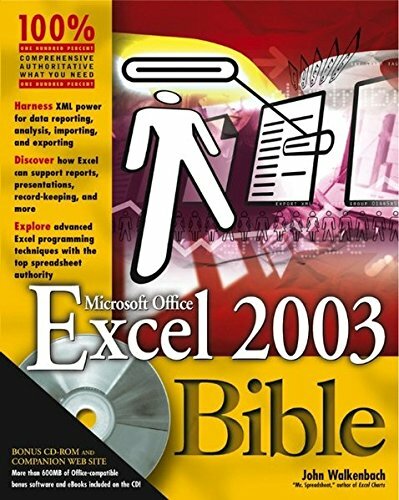 Office 2003's XML capabilities really intrigued me, and the Excel 2003 Bible didn't disappoint in helping me find out what this mean for me and my business. Walkenbach just shows how to make the most out of Excel more than any author I've been able to find. I normally don't bother to write reviews, but some of the shallow ones I found here irritated me enough to write. I have been a developer, architect, and development manager. My latest project was a 100+ developer year enterprise application. Fowler clearly knows the field, he speaks with confidence of development experiences with projects that went live. I have no idea of what a newbie to enterprise application development would gain from this book. The DTO pattern, for example, is profoundly powerful and his representation of it is accurate, but he presents it in a casual, low-key way, and its significance might well escape the uninitiated. When you talk to programmers who only know the one thing they worked on you hear a naive, blind conviction in their voice, but when you read Fowler, you hear the weary lessons of hundreds of developers on dozens of large projects. If you are experienced, read chapter 8 first, then the patterns, then 1 - 7 if need be. If you are new, read chapter 8 first, then the patterns, then CODE the patterns a dozen times, then read the rest of the book. Fowler says you should read 1-8 then the patterns as needed, but I say the 8 pages of chapter 8 roll up the first seven chapters very nicely, and then please read all the patterns in associative order from your point of view. 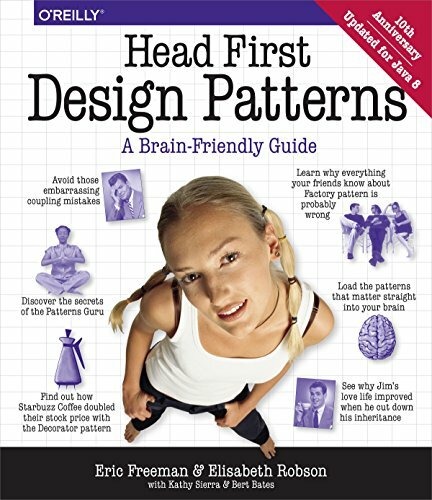 This is the only book I have encountered that describes .NET patterns. This is particularly useful when attempting to gain an understanding of how application architectures differ between .NET and J2EE. The Java patterns are also very interesting, especially when compared with those described in the J2EE design pattern specific books. Note that this book might best be described as "Enterprise Design Patterns for non J2EE systems". Some of the patterns can be used to implement DAOs (perhaps for a BMP entity bean). Many others are not really J2EE compliant (eg Identity Map). To some extent, the patterns would only form part of the J2EE container implementation. (However, "Server Component Patterns" by Volter, Schmid and Wolff provides a better coverage of the design patterns applicable to the design of a J2EE container). This book would certainly be useful to any one wrestling with the "are EJBs useful" question. It provides an excellent description of all the issues that need to be resolved for an industrial strength implementation. Unfortunately, there are many edit problems. These problems are the only reason that I did not give a 5 star rating. This book is a little more implementation specific than the incredibly popular Gang of Four Design Patterns book. Many of the patterns, the Data Transfer Object pattern, for example, are fairly specific to the J2EE structural problem at hand. Other patterns, like the Lazy Load, are good architectural patterns on any platform. There is enough generic content to justify the purchase of the book for architects implementing on any platform (J2EE, .NET, PHP, etc.) but it does favor the two current platforms de jour; J2EE and .NET. One of the nice things about the book is how the code tends to de-emphasize the application container by doing most of the work in the raw database access systems (e.g. JDBC), which makes it easy to understand what is going on but will offend the true J2EE believer. This makes the patterns in the book accessible to anyone coding in any environment, which I greatly appreciate. One pet peeve is that some of the patterns are obvious shells for a single technique, such as the Transform View, which is really just XSLT. The text says as much, but shouldn't there be more than one example of a particular pattern in nature? It's just a pet peeve though, it's no reason to avoid the book. Overall, the book is well written and edited and the graphics add to the exposition but are not gratuitous. It's a useful guide for anyone looking to raise the level of the enterprise application (read web application) thought up to the next level. 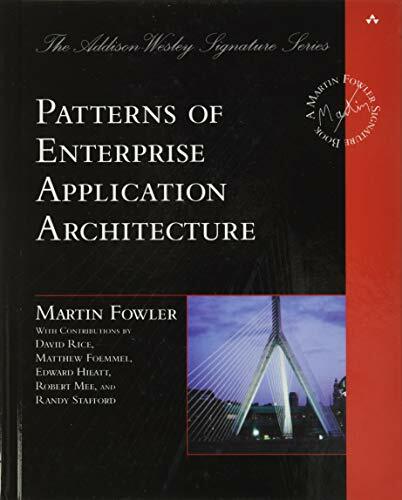 Martin Fowler is a brand name for lucid ("UML distilled"), maturity enhancing ("Refactoring" for the practical side and the great "Analysis Patterns" for the modeling side) top notch books for software professionals. This book even has on its front cover a label telling us it is a "Martin Fowler Signature Book". This book was a disappointment. In the introduction Fowler claims much less. This book should be merely "useful". It is much better than that. It is good. So what is the problem? The title is misleading. It is about patterns, but not really about enterprise applications. I am not in the subject of enterprise applications. I never ever have touched a program like SAP or a language like COBOL. But I encountered nearly every problem addressed in the patterns. Even the money class has corresponding problems in other fields: a Voltage has both a value and a unit. Also having complaints about the fact that 3 times 33% are less than 100% are always common. What is this book about? It is basically about problems you have in moderately big applications. How do you connect a relational database with its structure and transactionality to a system, especially an object-oriented system (but not only)? And how do you connect to the user interface, especially a web interface. Also it contains a lot of useful small patterns at the end. As you can see: a lot of valuable stuff for many people. Yes and you get the deep judgments and fine humor of Martin Fowler too. What is the main problem? This book is not really suited for actual reading. It contains an introductory part of a hundred and a reference part of four hundred pages. The introduction part is annoying to read. It is at the same time too simple (Some knowledge of relational databases should be a requirement for this book, and much more...) and too difficult (An extremely lot of forward references to patterns described later in this book). Also a lot of stuff is in the most trivial sense repeated within a few pages distance only. And it is repeated down to the wording of the individual sentences. The reference part is a lot better. It gets better to read the further along you already read. The number of forward references gets less along the way. I liked especially the last part about base patterns. As their name already says they should have been much more to the beginning of the book. This book contains an excellent book within it, just waiting to be "refactored" out of this collection of valuable thoughts. I firmly believe that Martin Fowler is well suited to do this refactoring job. I do sincerely hope that he does it for the next edition of the book. Most of the work is already invested and the result would be very valuable for many people. It is possible to write excellent and readable books about patterns as for example Buschmann et al in "Pattern Oriented Software Architecture" showed. If you've read Refactoring or UML Distilled, or Planning XP, you won't be disappointed with this Fowler book. He's the clearest writer and thinker in the Agile/XP/Patterns group of authors. The book is particularly strong in describing how to map between a persistent relational database and an in-memory object representation of business logic. Fowler distills the various approaches to their essence, clearly presents the tradeoffs and defines an intuitive vocabulary to make it easier for development teams to discuss how the patterns apply to their unique application. How many times have your eyes glazed over long before you've found your answer in a comprehensive book on a piece of software? Many such tomes offer so much theoretical info that they've lost their readers by the time they reach their destinations. Not so this one on After Effects 6.5! 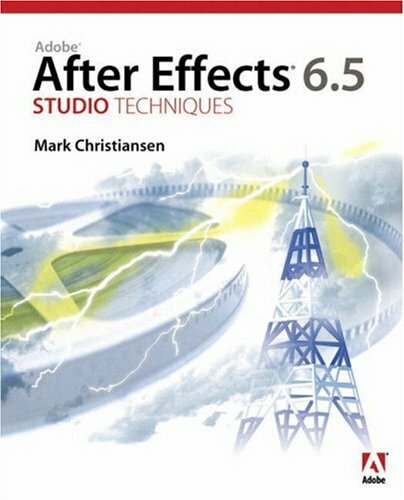 Offering in-depth explanations guaranteed to make the knowledge stick--but in a loose and friendly style that makes them fun to read--veteran author Mark Christiansen focuses on the concepts, features, and techniques that are key to mastering After Effects 6.5. If you're new to After Effects, you'll get the grounding you need to begin importing and managing footage, viewing and editing layers, animating type, and more. And if you're a veteran user, you'll find comprehensive coverage of all that's new: improved motion tracking, more than 250 new animation presets, and more. Beautiful full-color examples demonstrate what's possible, and a companion DVD with tutorials and lesson files shows you how to achieve it. This book more than met my need for learning Windows Server 2003. Our non-profit was looking to migrate from NT 4.0 to Windows Server 2003, this book helped us plan it and execute it flawlessly. What is really helpful is all the examples of common mistakes so that I could avoid them. 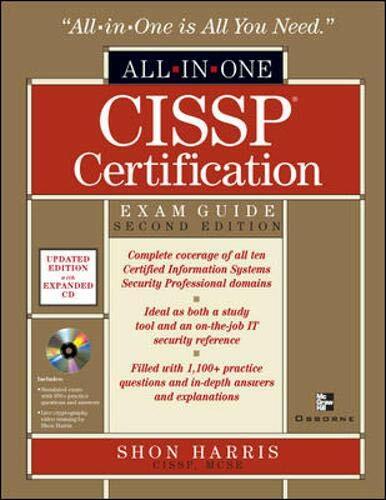 In this field there is little time to learn a new technology but this book made it possible for me to do so. The text is easy to read and in fact fun. Mark keeps it quite humorous yet focused. It is as though he is sitting there guiding you through all the steps. I also have his Windows XP Professional book and highly recommend it as well. It is a necessary part of any network administrators library, even replacing the ones you get from Microsoft. This book is just amazing! As someone who is fairly new to administering Windows 2003 (um, and Windows 2000 and Active Directory), it has proved to be a GODSEND! This is THE book that I grab everytime I need to learn how to set something up. Mark has this incredible ability to feel like he is right in the room with me, looking over my shoulder. His explanations are great. And, I for one, am glad that I get LOTS of pages for my money. I didn't know the first thing about DNS, Active Directory or Windows 2000/2003 Server when I picked up this book and now my test domains are simply humming along. I picked this book up in a bookstore after reading bits and pieces at the bookshelf. I came out to the Amazon site to get the ISBN number for a colleague when I read some of the reviews. You guys are crazy. I've read a ton of technical books and none of them come close to this one, in terms of what you get for the money. And why on earth would you think that you should be able to print from the CD? What's the copyright good for, if I could print a copy out for all of my friends. I'm sure it took a lot of effort to write this book and I, for one, am willing to pay for it. I'm sold. Thanks Mark. You made my life much easier. 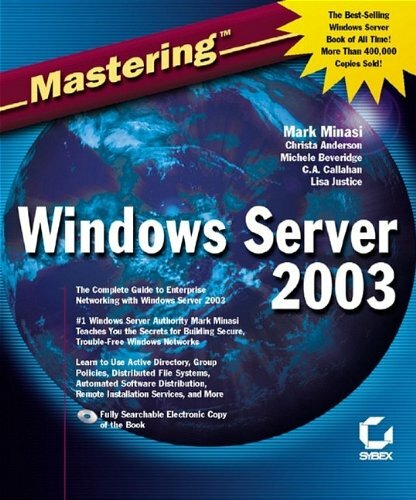 I have Minasi's Windows 2000 and Windows 2003 Mastering books. I would recommend Mastering Windows 2003 to most but I would also recommend Windows Server 2003 Inside Out. Having both books is a Godsend. Windows Server 2003 Inside Out has become my goto book for the indepth stuff especially monitoring, maintenance, Active Directory, networking, printing. Inside Out has the best coverage of DNS, DHCP, and TCP/IP. Mastering is still my goto book when I have to deal with Mac to Windows support or Unix to Windows issues or NetWare to Windows. Mastering is good for issues with older OSs like connectivity to Windows for Workgroup clients. If you can read and understand this book, you know 2003 period!!! Don't let the bad reviews about the humor distract you. Yes IT is a serious business, but to say that humor in IT or in an IT book is unwarranted is just obsurd. If you are in this business with no sense of humor, well I sure hope we never cross paths. 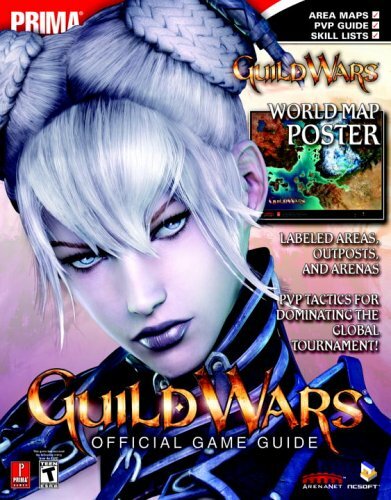 If you only want to buy ONE win server book, buy this one. Definately, outstanding book. I'm a Microsoft MVP on Windows and I think this book helped me a lot. When you read some other Windows Server books, you may find boring. That's normal because technical books are not stories. But, learn windows server by reading this book will not feel boring. It's not only a great book on technical view, but also a very interesting book. Are you like me in buying every self-help or non-fiction book to bring in more business? One problem. When do we have the time to read them? This book simply won't let that happen with its short chapters, personable style, and valuable information on how to keep visitors clicking until they make the buy. This book is the how. How to take all the theories and whys discussed by other authors and make it happen. I have trouble with theories because they don't help me visualize the application of such theories. This book stays away from whys and shows you how. When I started reading the book, several big projects got thrown my way leading to late night reading being replaced by late night working. Every now and then, I took a break and breezed through this book reading many pages in a brief time while gaining new knowledge and a refresher in creative writing as it applies to online copy. Non-fiction is my thing when it comes to writing. Over time, I have forgotten creative techniques for adding spice to copy. The authors jolted memories of high school English classes where we learned about the different poetic styles (iambic pentameter, alliteration, meter, etc) and to avoid using passive verbs. Not only that, but also they cover how to write for different personalities. Already getting high traffic to your site? That means you know how to draw attention and interest. But, how are you doing in building desire so that they take action? Hmm... could that be the challenge? The authors drive toward long-term results by engaging your visitors and leading the way for them to get what they need and be satisfied with it. I'm familiar with a few techniques discussed in the book, but many may not be. It depends on what you do with regard to the Web site. I understand making a Web site usable and getting visitors to the site. My Web site's weakness is converting visitors into customers. Marketing pros may succeed with creating a desire, but have trouble with visitors taking action. The authors cover all the areas needed to persuade via the Internet from "notice me!" to "be happy with me!" Are you thinking, "More technology! We need more technology to make this work?" We've taken technology for granted, but all it can do is what human programmers program it to do. Technology doesn't know human nature. It doesn't know how to feel or need something. People do and can convey what they know with words. Words make the sale. Technology ensures the words get their say (by quickly loading the Web page and functioning the way it should) and to push the sale through the back-end process (taking the order, managing inventory, etc.). This is where conversion principles apply. The authors share simple processes for improving conversion rates. A splash page is the "introduction" page to a Web site. It's flashy, colorful, and cool. But it's a waste of time. It gets in the way of the core material. Customers don't care how good your designers are, they care about what you can give them and that comes through words and good online copy. It's time for the online world to get what print mastered many years ago. The authors' witty writing style makes the book enjoyable to read without sacrificing wisdom. They practice what they preach and it's no wonder that GrokDotCom.com, the site behind Future Now, Inc. is a success. Time has come to let go of what's in it for the company and think of what's in it for the customer. In time, you shall reap the rewards at the bank. If You Read only one book on the Internet, make it this one. Internet Marketing is here to stay and it's getting better every day. And the authors of this book are a big part of the reason why. 1998-2000: Money fell like rain from heaven and the streets were flooded with stories of teenage millionaires. These halcyon days were fueled by a mentality that "if you build it, they will come." Investors drunkenly bought into the Internet's promise of a "new economy" and billions of dollars were pumped into spec-tech and dotcoms, never to be seen again. But when the investors saw that the 'net's realities didn't quite match up to the glowing promises, investment capital dried up faster than alcohol on a summer sidewalk. There were fundamental problems with Internet marketing that could not be overcome with mere advances in technology. What Internet marketing needed was someone who truly understood the fundamentals of human persuasion and could apply them to the Internet." Today it is my extraordinary pleasure to announce that those people have been found. Jeff and Bryan Eisenberg were talking 'conversion' back when 'eyeballs' were the thing and conversion wasn't even in the lexicon. Their work was greatly accelerated when they added Lisa Davis to the team. Bryan, Jeffrey and Lisa graduated with honors from Wizard Academy and have since gone on to accomplish a number of internet marketing miracles. Consequently, they were chosen to become adjunct faculty at Wizard Academy, where they now teach a curriculum that has punched Internet ROI through the ceiling for every company that has sent a delegate. 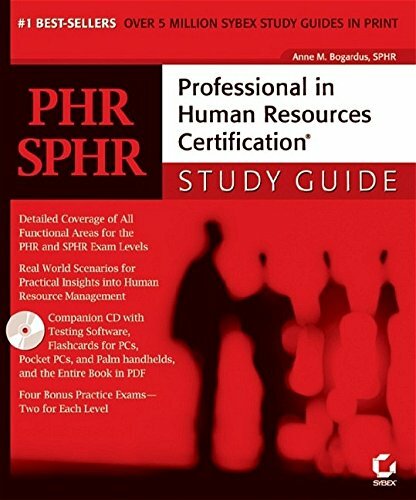 This book, for a [low price], contains an extremely important portion of what they teach. No Background In Copywriting? Find Another Book. I bought this book to try and gain more of an understanding on copywriting for the net. My honest opinion is that unless you have a background in professional writing or copywriting, this book won't be much of a help. The book makes references to things like Fraking, Poetic Meter, etc and then gives you a very short paragraph description on what they mean that doesn't give you an understanding of the term, but rather a definition. I was for lack of a better term, lost by the time I was 60 pages in. 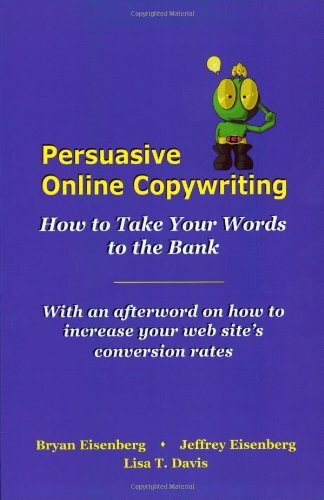 Maybe if you do have a background in copywriting, this book will be quite useful in helping you understand how to adapt regular copywriting to the web. But, if not, you won't get much of an "education" but rather a "how to adapt" approach that isn't very useful to someone who hasn't had a some form of formal education on the topic. I did give this book two stars because there was a "nugget" here or there that anyone could have gleaned, but overall I was disappointed by the book. This was my third of three copywriting books I read. While actually being the smallest, this book probably had the most content. The beautiful thing is that each topic is in its own small 2-3 page chapter which is very convincing, logical, and easily accesable for further usage. One of the better internet books on the market. This gem of a book offers the most comprehensive (and immediately useable) information on "how to make your website profitable" in the fewest amount of pages that I have yet seen. I have purchased dozens of products (printed and ebooks) within the last year alone on this subject. Most of the others talk about search engine tricks, pop-ups, hard sell copy, and basically manipulating your site visitor into doing what you want. Manipulation may work a little in the short run, but is self defeating in the long run. This book is much smarter than that. It is in a whole different league. This book teaches what is really important to long term profits. That is, engaging your visitors and making sure your site is offering them exactly what THEY want. It shows you how to write extremely effective copy. It also tells you how to discover exactly what your customers are asking you to provide them by watching your stats and web logs. The basic premise of this book is that without a high conversion ratio, there is no point in buying more traffic. It is much more cost effective to use the techniques contained in this book to increase your conversions than to chase traffic. That comes later. They make a valid point that most folks are doing this backwards. This book is about way more than just copywriting, by the way. It does an excellent job of enlightening you to many useability factors that may be hurting your sales. I can't imagine anyone who manages a website and uses even a small percentage of the wisdom contained within not getting a hundred times their investment back. Single most authoritative guide from the inventor of the technique. * Presents unique modeling techniques for e-commerce, and shows strategies for optimizing performance. There are a lot of data warehousing books out there that try to answer the question: 'Why'? Why data warehouses are needed to help businesses make better decisions - why the OLTP systems that run the business can't do this - and sometimes even why businesses ought to invest in data warehouses. These books were terrifically useful to us years ago, when we needed help (and scholarly footnotes) in our data warehouse project proposals. This book is not one of those - it is all about: 'How'. How to actually design and build a repository that will deliver real value to real people. 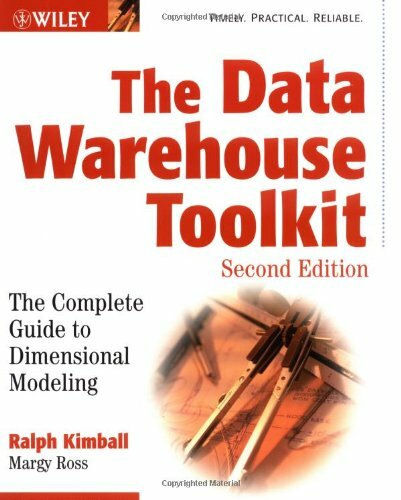 In this reviewer's opinion, Ralph Kimball's many contributions related to the 'how' of data warehousing stand alone. An engineer trying to just-start data warehouse expertise would have to read Ralph's Data Warehouse Toolkit first edition, his Data Webhouse Toolkit... a bunch of Intelligence Enterprise magazine articles... AND lurk on the Data Warehousing List Server...for a few years (all terrific resources - by the way) - in order to stockpile the knowledge that is crisply presented here. No shortcuts that I can spot: all of the toughest dimensional design issues that I've tripped on - and can remember surfacing on in discussion groups over the past few years - are addressed in this significantly updated text. Not all of the solutions are 'pretty' - but it is clear that they thoughtfully address the problem. This rings true to my God-given 'bs' detector. The authors have been listening to and addressing the data warehouse community's 'pain' through periodicals and posts - but this book pulls these point solutions together very nicely. I learned a surprising number of really useful new techniques, and was genuinely enlightened by the 'Present Imperatives and Future Outlook' section. As in the first edition, there is minimal philosophical lecturing, and zero religion - perhaps the only reason to hesitate in describing it as the 'bible' of dimensional data warehousing. Authors of 'bibles' sometimes appear to be handcuffed by their need to be perceived as infallible - such is not the case here. Instead, we get generous helpings of real-world case studies - aptly used to illustrate a progressively more advanced series of design concepts. This style absolutely works for me. And I suspect that engineering mindsets typical of the folks that build these things will surely agree. I was undecided if I should buy this book after having read the first edition, but I'm happy I did. The second edition updates many of the concepts contained in the first and includes some new chapters on hot topics like CRM and Telecommunications (which is the most important sector for dw at least here in Italy where I live). I think that Kimball books are everything that's needed to design good, robust and flexible data warehouses, and this book maintains his high quality standards. The mandatory bible for any datawarehouse developer. Complete with examples and case studies, it will satisfy beginners as well as experienced professionals. I began with this.. and havent finished using it yet! This book simply is the best data warehouse book in the market, and an absolute must-read if you are in Data Warehouse field. The best part about this book is that it's not hogged down with technical non-sense, and it's quite easy to read and understand. Highly recommended. “Intuit-approved and loaded with secrets, Quicken Press books provide you with recipes for financial success.”--Scott Cook, Co-founder, Intuit, Inc.
Reference Book Only - Don't buy to learn to use Quickbooks! This book not only has clear explanations about how to perform every bookkeeping chore in Quickbooks, it also explains what's going on in the background so you can understand how your profit and loss numbers accumulated. 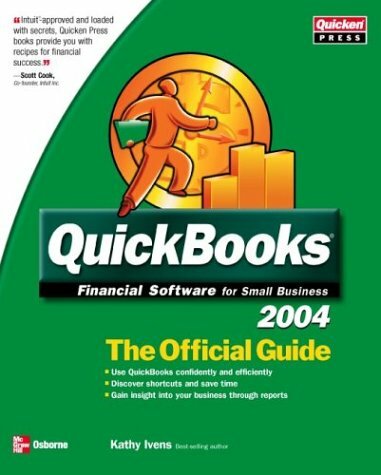 Beyond that, this book has important and useful information about workarounds for all the Quickbooks functions that are annoying if you or your accountant don't want to do things the "Quickbooks way". The explanations and tips about setting up sales tax, overcoming bank reconciliation problems, tracking inventory, and managing customers are beautifully written and easy to understand. My accountant said he learned from it and took what he learned to his other Quickbooks customers. This book lets you get the most out of QuickBooks, and shows you how to run your business properly. This is a comprehensive and easy to understand text. It covers all the fundamental stages of compiler design, with plenty of explanation (both practical and theoretical). It doesn't exhaustively cover every conceivable topic, but it does leave you with a good taste of what's involved. Of course, it is not a book for beginning programmers, and there are very few code examples. Judging by the comments of some reviewers, I would suspect that they gave poor reviews because they lacked the prerequisite background (familiarity with a good HLL like C, data structures, mathematical background etc). As with any 'advanced' topic in computer science, there is quite a lot expected from you. Upon first reading, some topics occasionally seem overwhelming. Welcome to Earth. This is where your library card comes in. Do a little research and then come back to this text; you'll find that it is well organized and extremely clear. If you want a cookbook this book isn't for you. If you want a solid understanding of compiler fundamentals then this book is your best bet. 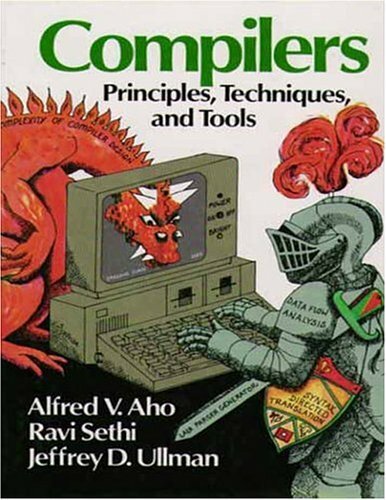 You can hardly search the internet for compiler books without seeing the "Dragon Book" rear its head. Intrigued by its reputation as the authority (not to mention being very hard to read,) I had to buy it. This book is very theoretical! That may be good or bad, depending on how used you are to handling theory. It is well organized. The authors break the compiler into front end and back end, and then further into symbol table, lexer, parser, semantics, intermediate code generation, code generation, and code optimization. There are chapters dedicated to each. I didn't read the whole book (so I'm still a mere mortal,) only the recommended introductory sections followed by some browsing. This was out of personal interest - not for a class. By the time I was through chapter 7 or so, I sat down and started planning a [cheesy] Pascal compiler (they give the grammar as a project.) I'm not done yet - heh - but I haven't been frustrated by anything the book hasn't covered yet. Therefore, I can testify that this book has really guided me well. However, like I said, if you space out in the presence of pure crystalline theory, then this book is not for you. Usually the first 3 sections of a chapter are 100% theory, then the "how to" section, followed by advanced theory. It may help if you have taken some courses in abstract algebras - I'm not kidding! Also, a (the) major flaw this book has is the mysteriously missing pages of code. There is no complete compiler (of anything significant) to study (which is why it gets 4 instead of 5 stars.) 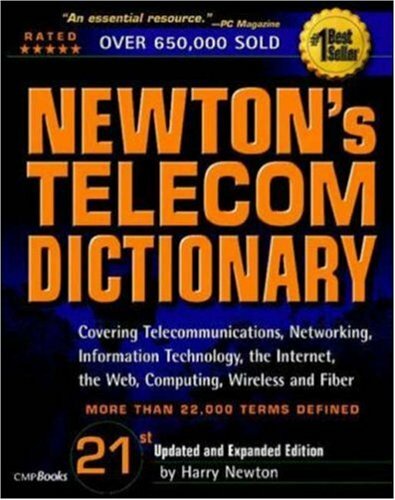 The only thing close is a 5 page infix to postfix translator written in archaic C. This book gives you the tools, not the answers. Be warned. The worst textbook I've ever read. For Many times I've been confused by the author's explanation for some very simple ideas. What can you say about a book that has 41+ reviews, and all with close to perfect marks? I bought this book not as it required so by almost any and all classes that teach about compiler design, but because I was interested in compilers and didn't have a chance to take class as part of my degree. It's a great book. Explains things well, and there are enough supporting material on the web that you can do a self paste study on your own and still get a lot out of this book. compiler concepts but its very pascal based. ages ago before java could gain a foothold.